MARITIME JOBS INFO - TEEKAY SHIPPING PHILIPPINES INC. Posted 10/10/2018 Opening hiring currently in need of the following officer, engineer, rating joining A.S.A.P. MASTER at least 24 mos sea time experienced as master on Crude oil. COFF at least 12 mos sea time experienced as chief officer on Crude oil. CHIEF ENGR.- at least 24 mos sea time experienced as CE on crude oil. 1AE or Second engineer- at least 12 mos sea time experienced as 1AE or 2E on Crude oil. OS at least 6 months sea time exp on international tanker vessel as OS. Requirements for the month of OCT/NOV and DEC. Applicants must have gas tanker experience on his current position. No.1 Oiler/ FITTER- at least one year sea time latest experienced as fitter or No.1Oiler on gas tanker must have experience in watchkeeping duties. - OS at least 6 months sea time experience as OS on international gas vessels and lates two vessels is gas vessels. - OILER At least one year sea time exp as OILER on LNG/if LPG gas vessel must have exp above 30k grt as oiler and latest two vessel is Gas vessel. - WIPER at least 6 months sea time exp as WIPER on international Gas tanker vessels. - 2nd Cook- at least 12 mos sea time experienced as second cook on international seagoing vessel (tanker,offshore,passenger,bulk) must have at least 12 months culinary course or graduated or 2 years HRM. 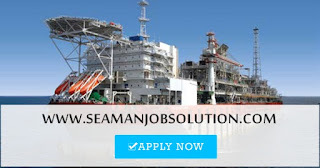 - Chief Cook at least one (1) year sea time exp as chief cook on international sea going vessel (tanker,Gas,Bulk,offhore) must have european and indian cuisine experience. And must be HRM graduate or 2 years course in HRM or 12 months culinary course. For those applicants who are fitted for principal matrix you may report in Teekay office at your convenient time or call below recruitment coordinator. You can subscribe updated maritime jobs at sea. 0 Response to "AB, Oiler, O/S, Cook, Wiper, Oiler No.1, 1/E, C/O, C/E, Master For Tanker Ships"